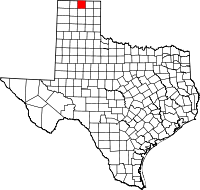 In Hansford County, Texas, records are maintained by the Hansford County Clerk (http://www.co.hansford.tx.us/ips/cms/countyoffices/countyClerk.html), who retains original copies of vital statistics. The state (http://www.dshs.state.tx.us/vs/default.shtm) keeps copies of these records, which include birth and death certificates and marriage and divorce verifications. Certified copies of vital records are available to qualified applicants in person or by mail, with instructions and application forms available at the website. Birth certificates, which are protected within the past 75 years, are $22.00; death certificates are $20.00 for the first copy and $3.00 for each additional copy requested at the same time. Marriage and divorce verifications are $20.00 each.